7TWO will no longer be retransmitted to selected satellite areas. From Tuesday 26 July, 2016 – 7TWO will no longer be retransmitted via our satellite to customers in New South Wales, Victoria and Queensland. 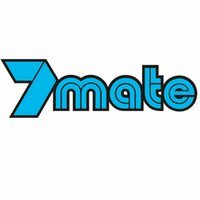 Instead, 7mate will become available on channel 188. Some satellite customers in these areas may be concerned that they can no longer access horse racing programming on 7TWO. These are all available in either the Entertainment or Essentials packages. What affect will this have on MyStar/MyStar2 customers? These customers will be unaffected by the change. As they rely on their antenna to receive current FTA content, the exact channels they have now will continue as usual. They do not rely on our satellite to retransmit their FTA channels. Will this impact cable customers? No. Cable customers will continue to receive both channels and experience no reposition in channel numbers – with 7TWO remaining on channel 137 and 7mate remaining on channel 188. What FTA channels are available to me? Please refer to this FTA matrix for the full list of channels you are able to receive. Very dissapointing Foxtel. Not word of warning to customers. I was reall y enjoying watching Mr. Selfridge. Not acceptable. I am disappointed about 7 Two disappearing from Foxtel satellite. I know I can live stream it but can no longer record while I am at work. Love the programs offered on it – sorry but zero interest in 7mate. Seems to be a decision biased against perhaps older viewers and families. Why have you done this? I will be cancelling my foxtel at $134 a month as this was one of the main reasons I still had it!! Do you ever get the feeling that everytime you guys post something like this you say this to yourself? Wow! How on earth can you be disappointed? Foxtel don’t supply the feed for these programs. They are at the mercy of the fta stations. Just turn over to your TV – it’s not that hard. *The move is believed to be a decision from Seven. The change arrives just before the Rio Olympics coverage (also screening on Seven / 7mate) and Paralympics – only screening on 7TWO. What’s the bet 7TWO returns to Foxtel “after” the Olympics and Paralympics are over.